Shiloh Baptist Church has been an important part of the north ward community of Newark, NJ for the better part of 100+ years. 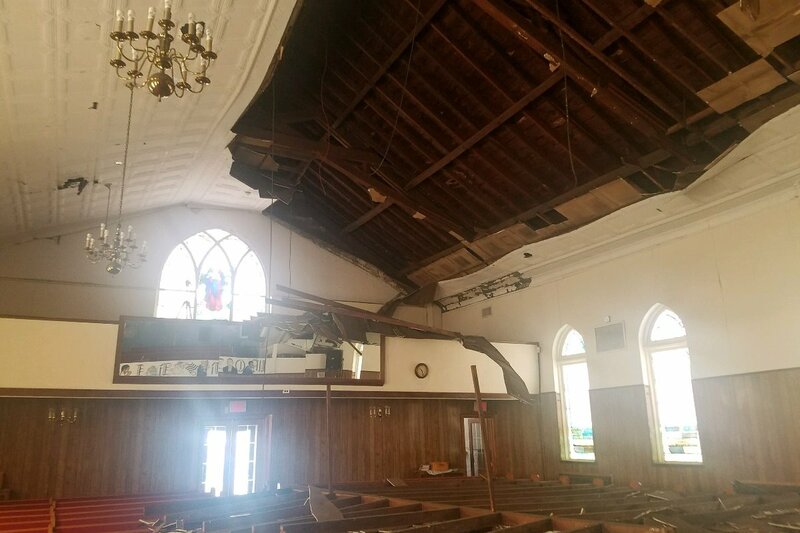 Time and the extreme weather has taken a toll on our main sanctuary building and early this summer the metal tile ceiling collapsed on one side of the church. After consultation with our contractor he has advised that the remaining ceiling needs to be removed as it will suffer the same fate and eventually collapse. 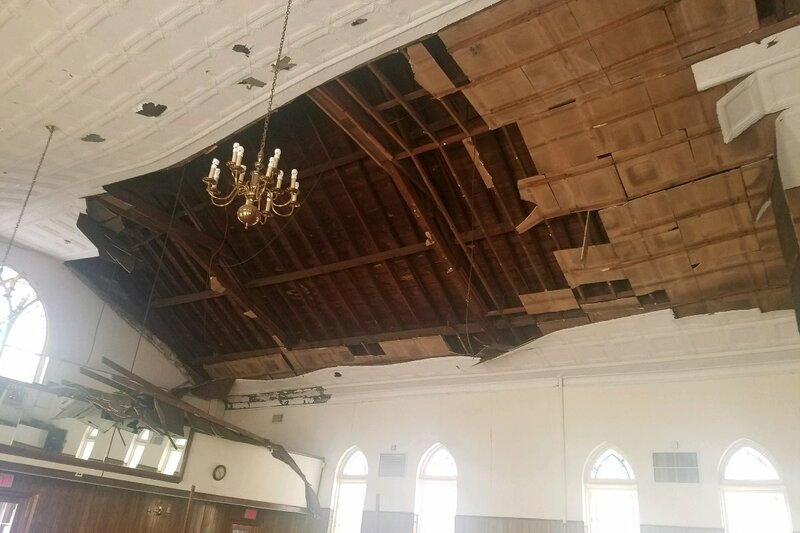 As you can see from the pictures the damage is extensive and will require the removal of the remaining ceiling tiles, installation of a new ceiling and remediation for the damaged pews, fallen chandeliers and any other issues uncovered when the rest of the ceiling is removed. 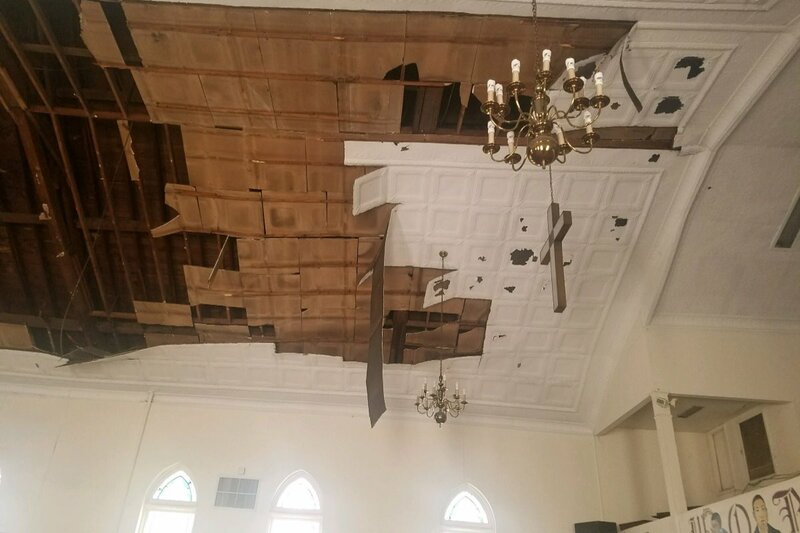 Due to the recent extensive and expensive rebuilding of the exterior wall, spire and gutter systems the church is unable to provide funding for the ceiling repairs. Because this was not caused by a storm and has more to do with the age of the building we can’t seek any funds from insurance. So we are trying to move forward to get the work done and we need your help! We have chosen a contractor to oversee taking down the remainder of the ceiling safely and replacing the entire ceiling in the church. Our estimates show it will cost approximately $50,000 to repair the building properly. 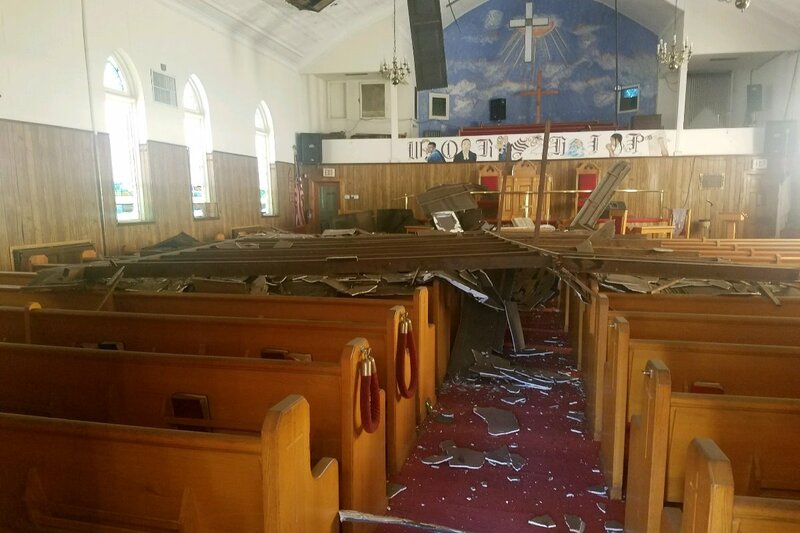 We are praying for a swift recovery from this disaster and pray that you will help us out by giving a donation to our building fund. Any amount will help. All donations are tax deductible.